Get occasion ready in this stunning midi dress. 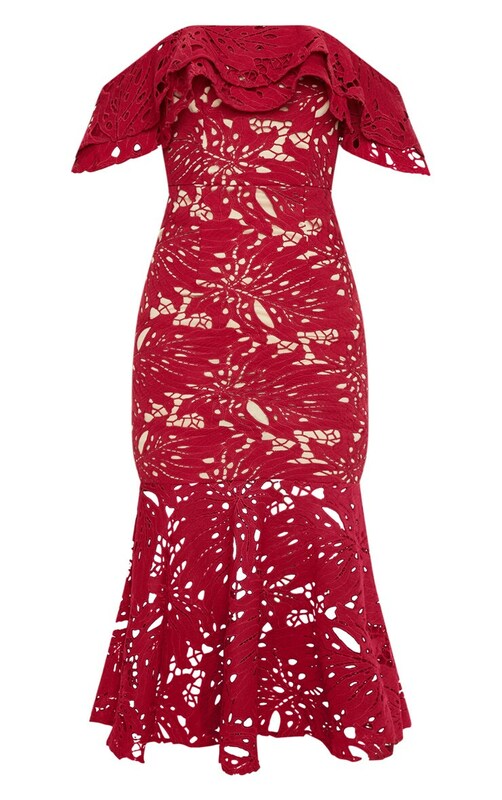 Featuring a maroon crochet lace material, with a flattering bardot neckline and fishtail hem, this midi dress is at the top of our hit list. Style this dress with strappy heels for a look we're loving.